Use the power of technology to offer extraordinary patient care. We pioneered the use of a symptom checker on a provider’s website 15 years ago. Learn more about the kinds of work we do. Our design team will meet with you to discover your requirements, vision, and design ideas for your new site. Based on the discover meeting, the design team will then design two mock-ups of your website for your review. Once you approve the design, our team will develop the code and structure of your website. 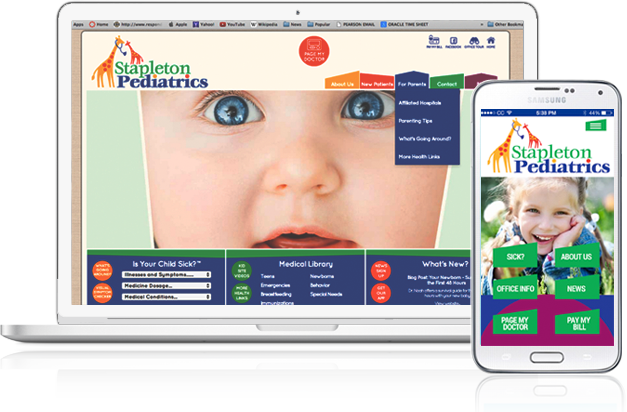 We deliver your new responsive website that is optimized for desktop and mobile devices with a responsive design.